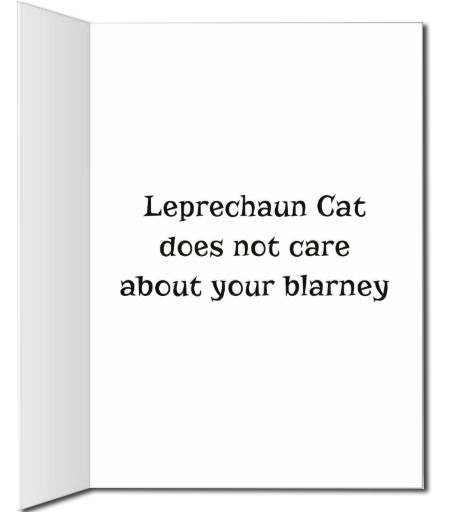 I have a new card for St. Catrick’s Day! Some of you may recognize the image and the quote from my 2014 Wall Calendar. I thought it was too good to use only once. 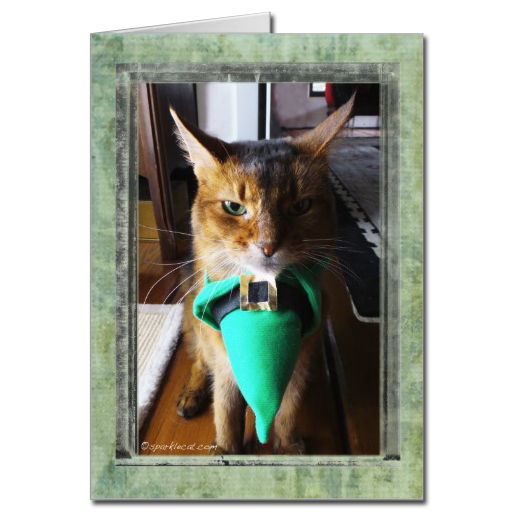 You can get my Leprechaun Cat card here! HAHAHA..You looks mad Miss Sparkle!! Awwww…the hat matches your eyes! Very cute card Sparkle! HAH! Do humans send St. Patrick Day cards? I better remind TW. What an awesome card, Sparkle! We love the cranky face, Sparkle! What a perfect look for that card.